I really like that mid-size bikes are being brought back into the motorcycle market. The CBR250 from Honda and the tried-and-true Ninja 250 from Kawasaki are great beginner bikes, offering ample power and bulletproof reliability. These characteristics are perfect for beginners and riding around town. However, these bikes top out at about 95 mph, making the engines work a little too hard on our American highway systems. Motorcycling is about freedom of choice, and while riding full-throttle through the desert on a 250 sounds exciting to some, most motorcyclists would like to have a little more power to rely on. 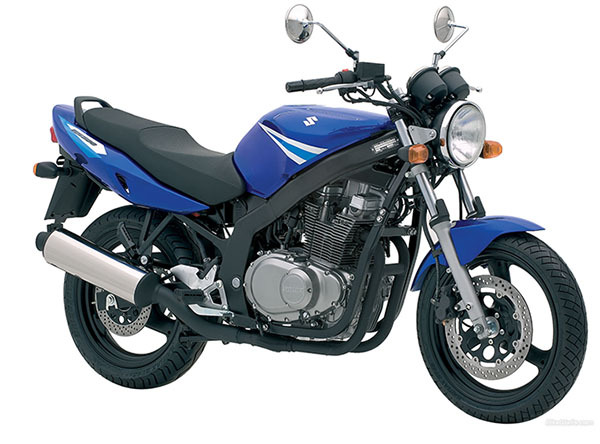 In 1989, Suzuki introduced the GS500 to the world. An air-cooled, DOHC parallel twin with modern elements remained virtually unchanged until 2006. 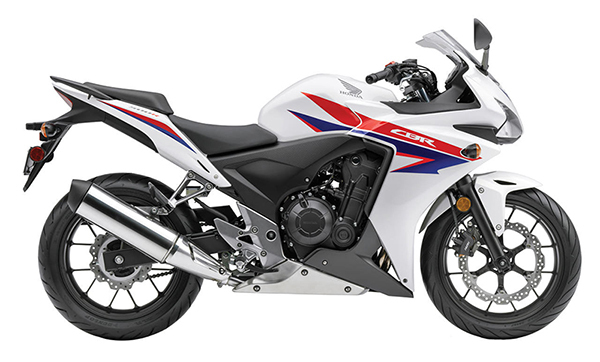 The 2013 Honda CBR500 is Honda’s new all-around street bike. Both these bikes make great commuters, and have plenty of power, even for long distance riding. There are some big differences between these two machines, but the similarities are what really catch my attention. Please note that some of the specs for the Honda haven’t been officially released yet. The GS500 has a displacement of 487cc while the Honda has 470cc. Horsepower figures are nearly the same, in fact the early GS500 made 52 horsepower, 5 more than the new Honda. Torque figures are 30 ft. lbs. for the Suzuki and 32 ft. lbs. for the Honda. The Suzuki redlines at 11,000 RPM and the Honda at a modest 8,500 RPM. 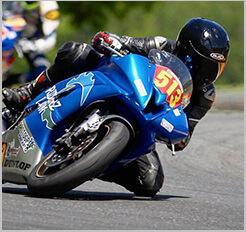 Top speed for the Suzuki is right around 105 MPH. The Honda beats it with a claimed top speed of 115 MPH. One bigger difference is that the Suzuki uses two 33mm Mikuni carburetors, while the Honda uses two PGM-FI 34mm throttle bodies. The GS500 holds .3 gallons more than the Honda. Fuel consumption figures are similar, between 50 and 60 MPG, and both bikes use a 6-speed transmission. Seat height is identical, at 31 inches. Another interesting figure worth mentioning is the fact that the Suzuki weighs 55 pounds less than the Honda. That weight can make a big difference while out on the road. As far as stopping power, they both use single disk, dual piston calipers up front. The Suzuki uses a dual piston caliper in the back and the Honda a single piston. Tires are both 17 inches on both bikes; however the Honda’s tire is 50mm wider in the rear, which probably makes for nice handling through the canyons. Most importantly, the cost of a new CBR500r is $6,000 without ABS, while I routinely see GS500’s priced right around $2,000. If you’re looking for a reliable, fun bike on a budget, maybe that narrower rear tire is not such a big deal! All in all, while the Honda is a brand new bike, it still can be compared side by side to a bike over 20 years older than it. It’s hard to argue with the price, and in some ways, I feel like the GS would be more entertaining to ride than the CBR. I can’t wait to test ride both of these bikes in the future.